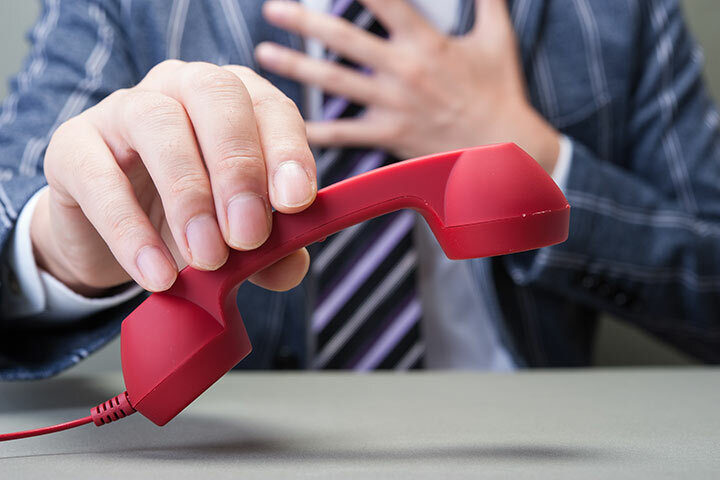 Here’s some downright scary news for you to consider this Halloween: there are still many fake tech support callers out there seeking to exploit you and your employees. In this blog post, we’ll describe the most popular scams with their usual methods and real intentions. We’ll then explain how to most effectively deal with these criminals and report them to the proper authorities. Since at least 2008, an army of cybercriminals has contacted individuals at home and at work to try and convince them that their devices are dangerously compromised and that they’re the only ones that can fix these significant problems. The repair work always involves a hefty fee of course. The most frequent scam technique involves a concerned IT employee, usually from the Microsoft Help Desk or other official sounding department at Microsoft (or some other huge IT corporation), calling to warn you that they have become aware that your computer is infected with a virus or some other form of malware. They and possibly some more colleagues will ask you to read off some of the technical information on your computer and grow increasingly agitated as it becomes more evident that your computer is “infected” and filled with damaging malware. The scammers often ask for permission to share remote access to your computer as they diagnose the problem further. In the end, they let you know that the problem is severe, but they will be glad to repair any issues for a hefty fee, usually starting at a minimum of $200. They then ask for your credit card or bank information so they can start working to resolve this problem immediately. There had been a brief period of hope in 2014 when the Federal Trade Commission (FTC) had managed to penalize and shut down some of these criminal organizations originating in India, but unfortunately there is still plenty of criminal activity occurring in the US and abroad. The skilled scammers on the phone are good at what they do and work hard to gain your trust and to make you feel anxious about protecting your computer from malware. Most frequently they are happy to take your payment and pretend to do some type of virus cleaning or they merely download anti-malware programs that you could do yourself for free. The more malicious criminals will take your payment and also download spyware that can capture some of your sensitive financial and proprietary information. The worst types will take it a step further and sell your identity along with access to your personal finances to the highest bidder on the black market. The scam has also more recently morphed into pop-up ads and other electronic notices claiming your device is infected and warning that you must call a certain phone number to resolve the issue immediately. In addition, the scam has also spread to a version where criminals are calling mobile devices and following the same pattern described above. – Be very skeptical when you receive a phone call or other communication from someone claiming to be from tech support from a huge IT company such as Microsoft. Other warning signs involve heavily accented tech support people (often from India or Eastern Europe), sometimes with poor language ability, calling from numbers supposedly within the US. If you feel concerned that you might have some real IT issues, find the proper contact information for tech support at the right company and call them directly. – Never give remote access control of your computer to someone who says they need to activate a new software program or perform some other simple task. It is easy to install and activate software and carry out basic tasks on your own. -Never provide sensitive information such as passwords, credit card numbers or any other personal or company financial information to anyone claiming to be in a tech support role. – Whenever you feel threatened or uneasy about a potential IT issue, please contact your proven IT Support provider, such as Network Depot, and ask them to assist you. -Make sure that your company and workstations are protected with reputable anti-malware programs and/or with the guidance of an IT Support provider. The most frequent advice given about handling any questionable tech support calls is to simply hang the phone up immediately and report the issue to the FTC as described below. If the scammers persist in calling your company, you can work with your phone provider to have the number blocked. Employees with more IT knowledge sometimes practice a more advanced reaction to these criminals, which involves pretending to fall for the scam. These IT-savvy individuals can sometimes learn more information about the techniques and background information of the criminals that may be useful in a later investigation. In addition, some people enjoy wasting the time of these scammers and, at the very least, preventing them from using their precious time to rip off another victim. Federal authorities appreciate any information you can share with them to help thwart these cybercriminals. It is also advisable for employees to share their experiences with their friends and fellow employees and to warn other potential victims on social media and any popular forums discussing these issues. Immediately end screen sharing remote access. If unsure whether the scammers are still there, restart your computer to get them out of your system. Scan your computer for malware using proven anti-malware software. Contact your credit card company and other financial institutions and report the crime and try to cancel or reverse the transaction. If you gave them personal information such as your social security number or date of birth, you should contact the FTC and report probable identity theft. For assistance protecting your company from fake tech support calls and other scams or any other IT issues, please contact us here at Network Depot.